Thursday 6th June - Sunday 9th June 2019 . Choose tickets with or without camping. (There are no separate camping tickets this year so if you want to camp, please choose the ticket with camping included, which is further down the page). Adult admission only Thursday to Sunday. Does not include camping. 12-17 years admission only Thursday to Sunday. Does not include camping. 2 Adult and 2 Youth (12-17) admission only Thursday to Sunday. Does not include camping. Adult admission only Friday to Sunday. Does not include camping. 12-17 years admission only Friday to Sunday. Does not include camping. 2 Adult and 2 Youth 12-17 admission only Friday to Sunday. Does not include camping. Adult admission and camping - Thursday to Sunday. 12-17 years admission and camping - Thursday to Sunday. 2 Adult and 2 Youth (12-17) admission and camping - Thursday to Sunday. Adult admission and camping - Friday to Sunday. 12-17 years admission and camping - Friday to Sunday. 2 Adult and 2 Youth 12-17 admission and camping - Friday to Sunday. Each Caravan or Motorhome requires a premium ticket, IN ADDITION to the appropriate CAMPING ticket(s). * The transaction fee is £0.00 for E-ticket (Print-at-home), £2.25 for Standard Delivery or £6.50 for Secure Post. 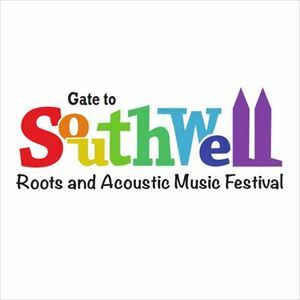 Steve Harley & Cockney Rebel and Los Pacaminos featuring Paul Young are among the headline names at this summer's Gate To Southwell Festival in Nottinghamshire (June 6th to 9th). Joining an eclectic international line-up that already includes Sam Kelly & The Lost Boys, Skipinnish, Nancy Kerr, Blue Rose Code, Gordie MacKeeman & His Rhythm Boys and many more brilliant folk roots and acoustic music artists, Paul Young - one of the UK's best-loved vocalists ('Wherever I Lay My Hat', 'Love Of The Common People', 'Every Time You Go Away') - has been the charismatic front-man of the highly-entertaining Tex-Mex show band Los Pacaminos since 1993. Steve Harley, famous for worldwide hits such as 'Judy Teen', 'Mr Soft', 'Sebastian' and 'Make Me Smile (Come Up And See Me)', has been producing great albums for over 40 years. Both play Southwell for the first time. This year's festival kicks off with a wildly western theme on Thursday June 6th. A host of top Americana acts will get the party started at Southwell Racecourse. Topping the bill will be Los Pacaminos and supporting them, tall in the saddle, there'll be the award-winning young Californian bluegrass band Blue Summit, featuring acclaimed female vocalist AJ Lee and guitarist Sullivan Tuttle, plus last year's festival favourites, Truckstop Honeymoon from New Orleans. Also returning will be rootsy rock & roll Californian Joshua Cook. Building on this theme, Gate To Southwell will also be marking the 50th anniversary of the famous Woodstock Festival of Summer 1969; a specially created 'house' band plus guests will perform iconic songs from the ground-breaking 'peace love and music' festival. Plus there's Sunjay Brayne's Tribute To Buddy Holly and a special Continental celebration featuring diverse European acts such as Mallorca's brilliant BOC, Spanish Basque folk dance band Korrontzi, Austria's acclaimed Hotel Palindrome, the beautiful Dutch harmonies of SYA (Suddenly Years Align) and French-born favourite Flossie Malavialle. The increasingly-popular festival at Southwell Racecourse welcomes back Leicester's 'woke folk' activist Grace Petrie, Brighton's young folk stars Hickory Signals, Jim Causley ("the finest singer of his generation" according to Mojo) and the multi-instrumental virtuosity of Ranagri. Plus "Princess of Cajun" accordionist Sarah Savoy, the fantastic folk rock dance band Blackbeard's Tea Party, famous punk veterans Otway & Barrett, Nottingham's own gypsy jazz hot clubbers Maniere Des Bohemiens, world fusion crowd favourites The Activators, the highly-acclaimed Bird In The Belly folk collective, the rich harmonies of Norwich's Alden Patterson & Dashwood and the vibrant young Welsh band Calan. And there's more: Irish bluegrass from Jigjam, 3 Daft Monkeys (acclaimed as one of the highlights of Glastonbury 2016 by Mark Radcliffe), BBC award-winners Greg Russell & Ciaran Algar, Yorkshire singer-songwriter Katie Spencer, Liverpudlian troubadour Rosenblume, Canadian folk-meets-bluegrass from Jessica Pearson & The East Wind, Nottingham's rising star Ruth Notman, Kim Edgar (singer-songwriter from Scotland's multinational folk band Cara) and the sweet-voiced addictive songs of pop rockers Morrissey & Marshall. Over the four days, Southwell will present a perfectly eclectic mix of more than 50 roots, World, acoustic and folk acts across four stages plus ceilidhs, dance sides, comedy, street theatre, poetry and top class children's entertainment (including the return of genius juggler Dan The Hat).